Lucas Jervies is an Australian theatre and dance maker, choreographer and director working across ballet, contemporary dance, cabaret, opera and theatre. In Australia, Lucas has created dance for companies such as The Australian Ballet, Sydney Dance Company, Queensland Ballet, West Australian Ballet, and Opera Australia. Internationally, Lucas has created dance for Scapino Ballet Rotterdam, Louisville Ballet, Milwaukee Ballet, Korzo Theatre Den Haag, Noverre Society Stuttgart Ballet and CoDarts Rotterdam University for the Arts. In 2018, Lucas choreographed SPARTACUS, a new ballet in three acts for The Australian Ballet which premiered to critical acclaim in Melbourne and Sydney. In 2017, Lucas created a new production of Stravinsky's THE FIREBIRD for Louisville Ballet in collaboration with designer Elizabeth Gadsby, his fourth work with the company. Previous works for Louisville Ballet include HUMAN ABSTRACT which also premiered in 2017 and will be remounted in 2019. For Sydney Dance Company, Lucas created VERSAILLES as part of the PPY programme. Lucas’ other credits include: adapting and directing Roald Dahl's THE WITCHES for Griffin Theatre which toured nationally to critical acclaim; directing, choreographing and co-devising HIDDEN SYDNEY: THE GLITTERING MILE, an immersive cabaret celebrating stories from Sydney's red-light district, Kings Cross, for Vivid Festival. Lucas was choreographer for Belvoir Theatre's award-winning production of MR BURNS; dramaturge for The Australian Ballet's production of THE SLEEPING BEAUTY; movement director for the Helpmann Award nominated opera FLY AWAY PETER for Sydney Chamber Opera; choreographer for AIDA Handa Opera on Sydney Harbour for Opera Australia; director and choreographer for APPLES AND EVE with Expressions Dance Company for Queensland Theatre’s Greenhouse Series. He created FOUR BALLET for Melbourne Ballet Company; and LITTLE RED RIDING HOOD for Queensland Ballet. 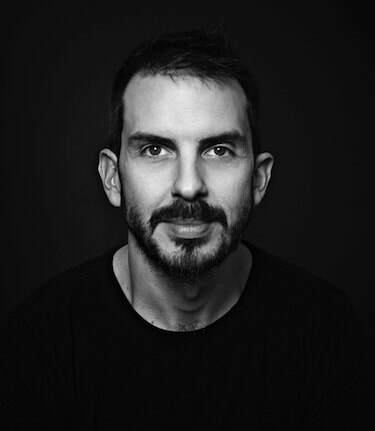 Lucas has held positions as Affiliate Director at Griffin Theatre; Artistic Director of Buzz Dance Theatre: Rehearsal Director at Sydney Dance Company; and co-director of JACK productions. Lucas was Assistant Director to Neil Armfield on KING LEAR for Sydney Theatre Company starring Geoffrey Rush and Assistant Director to Imara Savage on HAY FEVER for Sydney Theatre Company. Lucas danced professionally performing both classical and contemporary repertoire with The Australian Ballet, Dance Works Rotterdam and Scapino Ballet Rotterdam, contributing as collaborator/dancer to over 80 contemporary creations and world premiere seasons. He is a graduate of The Australian Ballet School and the National Institute of Dramatic Art in Directing.